The activities / groups listed below are recommendations given from parents. Some of the activities have extra support available for the children and some do not. Please feel free to contact the providers if you have any questions. Blossom in Somerset provides opportunities for adults with learning disabilities to meet people and participate in new and fun activities in a safe and welcoming atmosphere. Visit Blossom in Somerset website. 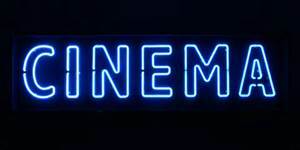 including Pixar animations, Disney adventures and many more films suitable for all age ranges. Click Here for more information. 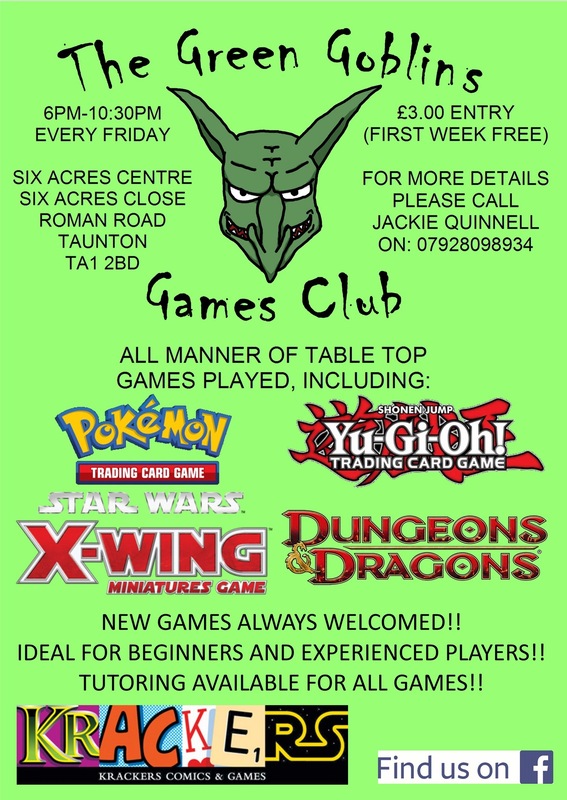 This is an inclusive club run in Taunton for young people that enjoy Trading Card Games, Table Top Strategy Games, Paper Based Role Play and all other game enthusiasts. 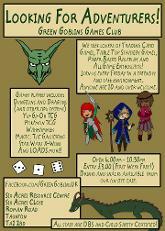 For more information view the Green Goblins Leaflet. This is a new service that has recently become available. It is a day opportunity providing support with everyday life skills in a home environment. They encourage and enable customers to make choices within their daily living, empowering them to think for themselves. They provide a personalised service that is meaningful for the customer, enabling them to lead a fulfilling life. Magdalen regularly runs activity days & sleepovers based on an organic farm near Winsham in Somerset. The staff are well trained and very friendly. Children that attend need to have a parent/carer accompany them and siblings can join in the fun too. Please feel free to contact them for more information. 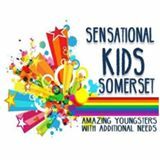 Supporting children and young people with a disability or additional need in Somerset. Once you are a member of Shortbreaks you are able to access their many activities available. Click HERE to go to their website and view their activity calendars, annual passes and much more. For all children and young people 0-18 years with disabilities. Come along, have fun, make new friends - cooking, arts & crafts, wii games, all ability bikes, outdoor play and much more! 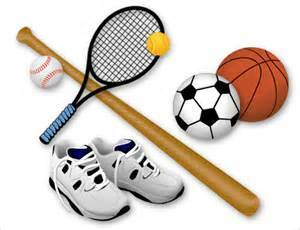 They offer a variety of sports to suit individual needs to include cricket, swimming, football, athletics, boccia, bowls & wheelchair basketball. This is a social group offering leisure, educational, world awareness, life skills, technology and sensory experiences. They meet fortnightly on Saturdays 11am - 1pm at Moorland Hall, Pearce Drive, Off Moorland Road, Highbridge, TA9 3FU. For more information visit their Facebook Page or call Sarah Lynch 07711481206 or Lorna Storey 07901761918. This club runs once a month with Short Breaks on a Thursday evening and is for young people aged 13-18 years who can be group supervised. 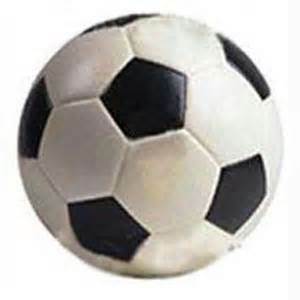 The aim of the club is to encourage independence, money and social skills. The group meets at various locations in the Taunton and Bridgwater areas and usually involves going out for a meal. Small swimming classes are available at a quiet location at Middlemoor Water Park, Bridgwater. For more information contact 01278 805120.
affiliated to Somerset FA and The FA. They are also supported by volunteers, parents and carers. The sessions are run at Taunton YMCA, TA1 2LB. check out our Facebook page Tone Ability F.Cor go to www.somersetfa.com. 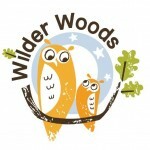 Wilderwoods are a small educational charity which aims to enable people to benefit, learn and develop through woodland experiences.They provide a variety of inclusive opportunities at Hallr Wood in Charlton Mackrell and Drayton Woods, near Langport as well as other venues. Some of the activities include: Forest School, curriculum enrichment sessions, living history, therapeutic interventions and long term placements for those struggling in school , including Social Service referrals, Woodland Playschemes, After school clubs, home ed groups, Wilder Play family learning sessions, over night camps for small groups,Rural crafts (green woodworking, basket making, weaving) and more.